PLAYS OF OPACITY AND TRANSPARENCY ARE OMNIPRESENT. 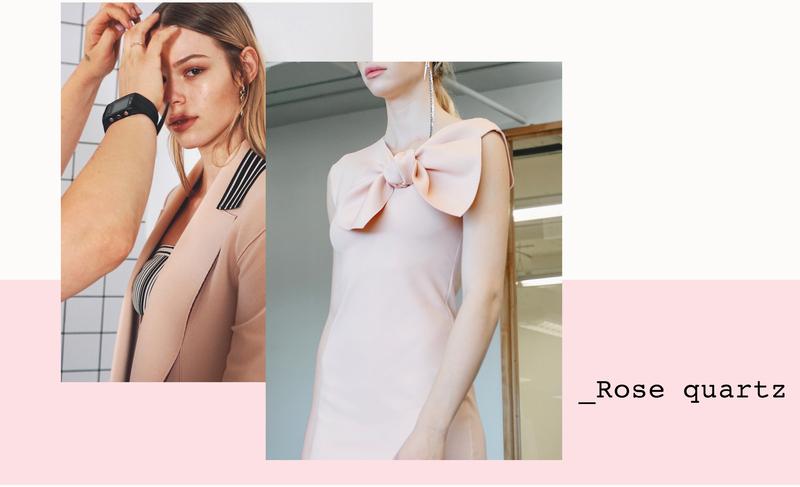 BIAS-CUT PANELS OF ORGANZA HAVE BEEN SUPERIMPOSED ON SIGNATURE SILHOUETTES FROM MAISON MARIE SAINT PIERRE. RADICALLY DIFFERENT PROPORTIONS MERGE INTO ONE SINGLE COMPOSITION. 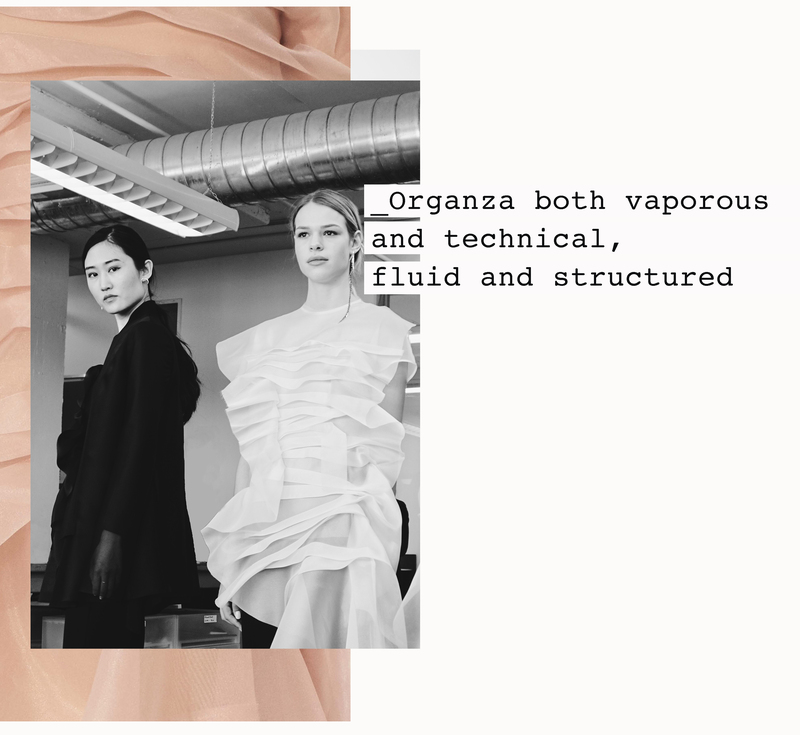 THE RESULT IS BOTH VAPOROUS AND TECHNICAL, FLUID AND STRUCTURED, AMBIGUOUS AND REALISTIC. SOMETHING AKIN TO AN X-RAY IMAGE. FOLDS CUT FROM A METALLIC, PAPER-LIKE FABRIC SHINE AS ONE OF THE KEY ELEMENTS OF THE STORY. 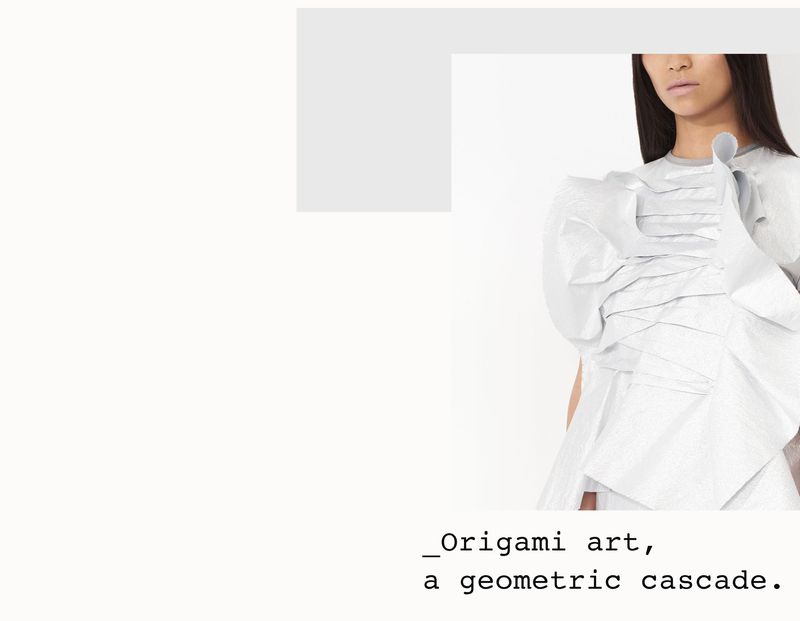 IT IS AN OVERSIZED WORK OF ORIGAMI ART, A GEOMETRIC CASCADE SUGGESTING A NEW APPROACH TO EVENINGWEAR. PIGMENTS ARE HEIGHTENED, LIKE STROKES OF WATERCOLOURS, OR DIFFUSED IN AN ENTIRE RANGE OF PURPLE: IRIS, LAVENDER, MAUVE, AND PINK. COMBINATIONS REMAIN INTRIGUING. THIS IS A COLLECTION IN MOTION. RUFFLE DRESSES AND JUMPSUITS ASSUME GREATER LENGTHS. REFRESHING, AND A HINT BOHEMIAN, THEY ARE IN CONSTANT MOVEMENT, LIKE WAVES FLOWING IN UNISON. TWO-TONE STRIPES TAKE SHAPE IN TUXEDO TROUSERS OR ON THE HEM OF TUNICS, FOR A STRIKING IMPRESSION. MINIMALISM CAN BE SPECTACULAR AND SCULPTURAL. 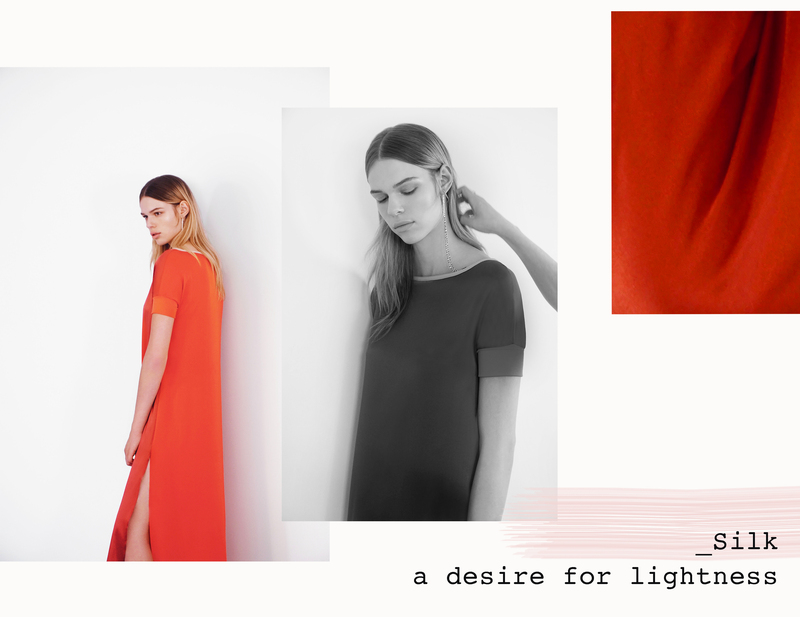 FABRICS HAVE ANSWERED THE DESIRE FOR LIGHTNESS. STRETCH SILK IS USED TO GRAND PROPORTIONS. A FEATHERLIKE COTTON-MOUSSE GIVES THE FEELING OF PASSING THROUGH A LIGHT FOG. 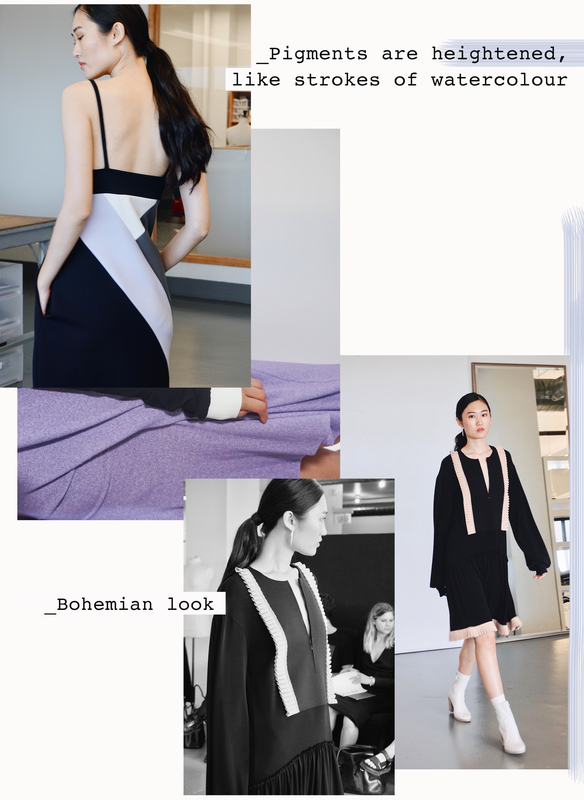 INSPIRED BY ATHLETIC WEAR, NEOPRENE MAINTAINS VOLUMES IN SUSPENSION, AS IF IN MID-AIR. 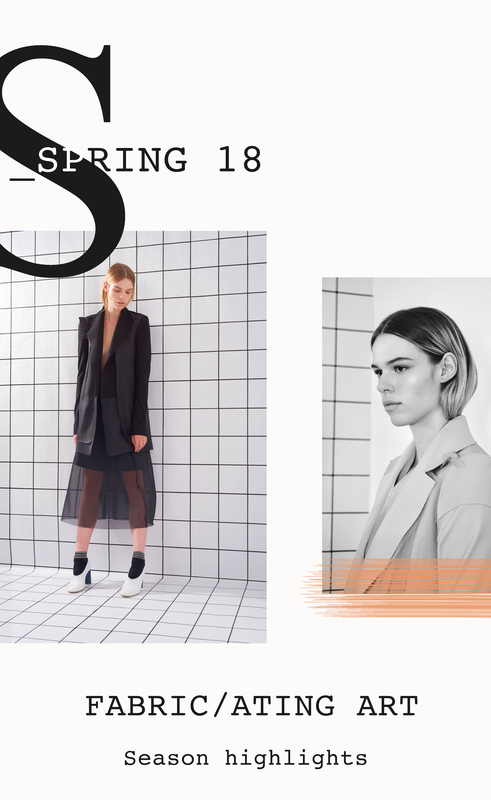 ONCE AGAIN, MAISON MARIE SAINT PIERRE EXPERTLY COMBINES STYLE AND COMFORT. THE COLOURS OF THE SEASON ARE MULTIPLIED BY TEXTURES. THE SAME ROSE QUARTZ CAN BE MATTE, LAMÉ, AND DIAPHANOUS, ALTERING ITS CHARACTER WITH EACH FINISH.